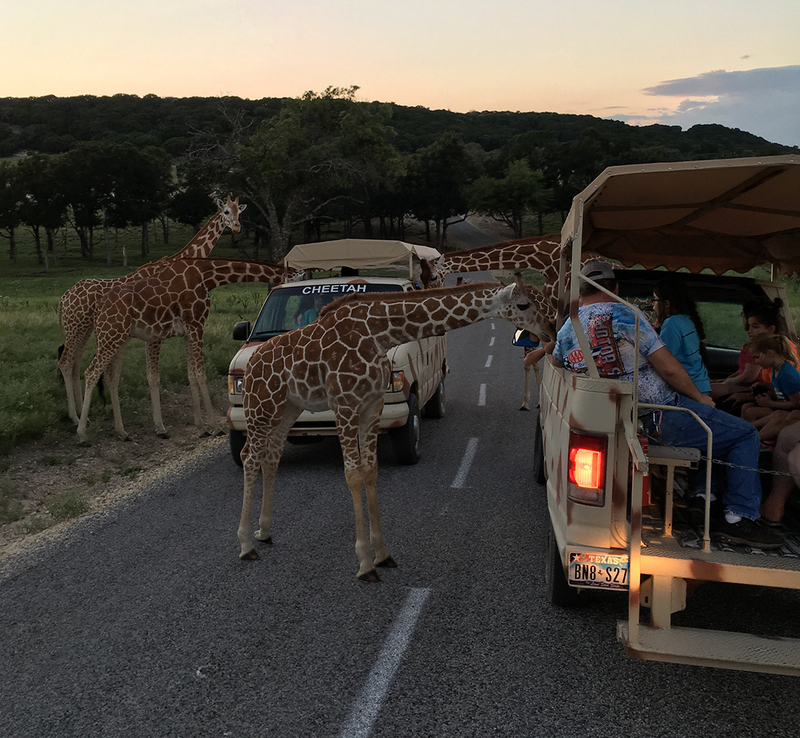 If someone were to make a list of the coolest offerings at Fossil Rim Wildlife Center, it should not take long before the words “Discovery After Dark Program And Tour” are penned. 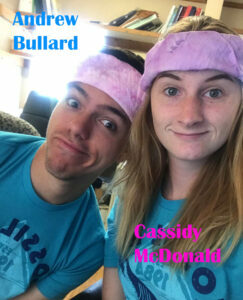 The dynamic duo of Andrew Bullard and Cassidy McDonald recently went in-depth on how awesome Discovery After Dark (DAD) is and why. If you are familiar with Fossil Rim during the day, it makes perfect sense to see it from a new perspective during a Discovery After Dark Program and Tour. First of all, it is essential to understand what the event entails. It begins with an interactive learning experience, followed by a guided sunset and after-dark tour with red spotlights, then wraps up with a nature hike. The entire experience lasts about three hours. “I think this tour is really cool because it shows you the park in a different light – or lack thereof,” Bullard said. “A lot of the animals behave differently, led by the (mountain) bongo. I think, even more so than a day tour, this makes you feel like you’re in Africa. Andrew Bullard and Cassidy McDonald have always made quite the education team, and they love nothing more than giving Discovery After Dark guided tours together. McDonald said the DAD is the favorite Fossil Rim event for her to work, as well as Bullard. “Sometimes, we see the giraffes in places I’ve never seen them during the day, especially up on Cheetah Hill near the cheetah yards,” she said. 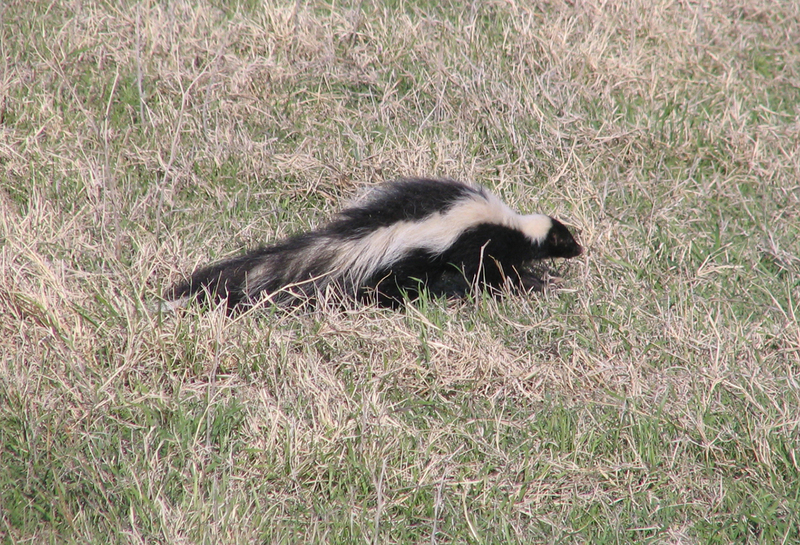 “Other animals will show up in unusual places, while some will obviously be asleep. The Texas natives really come out to play. If you have visited Fossil Rim before and wished there were fewer vehicles, this is the tour for you. 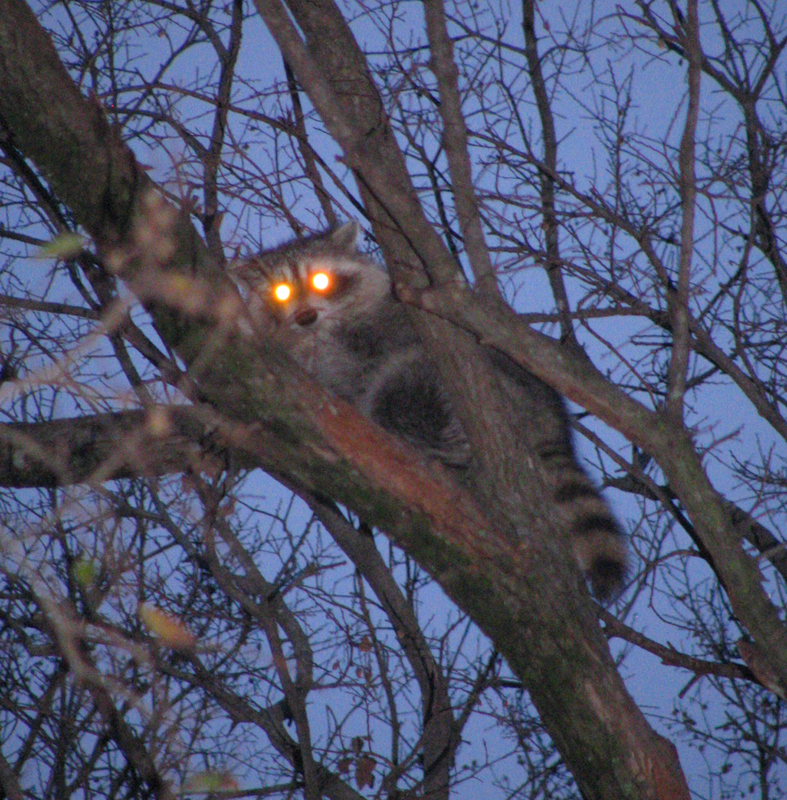 Raccoons and skunks are likely candidates to be seen during a Discovery After Dark guided tour. What about the atmosphere in the park for this event? 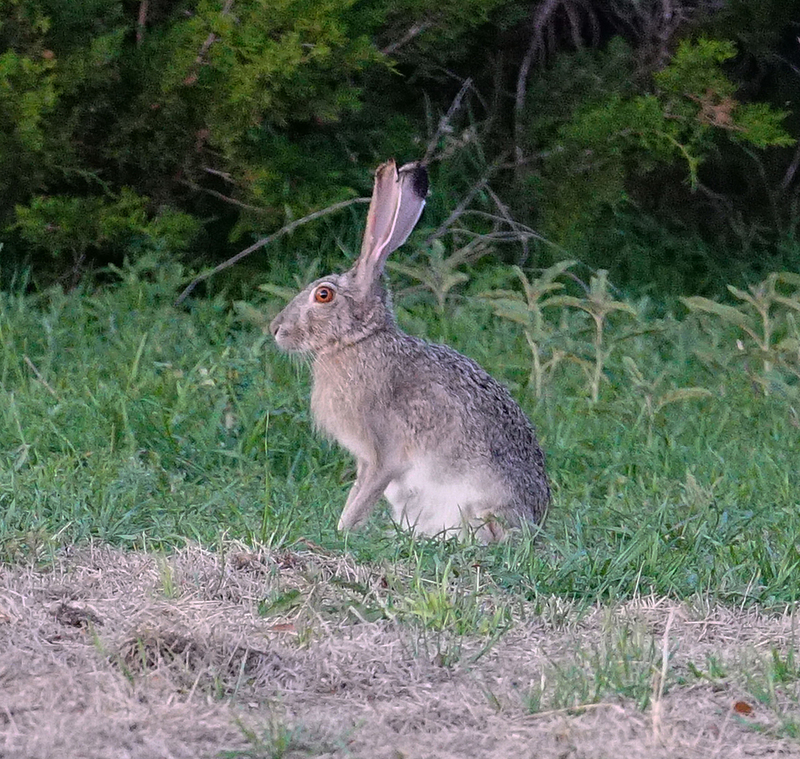 The record for jackrabbits seen on a Discovery After Dark guided tour is currently 32. As previously mentioned, the spotlights use red filters. Much more active at dawn and dusk, mountain bongo are the perfect animal to visit on a Discovery After Dark guided tour. In fact, usually the children on the tour take turns being in charge of the spotlights. 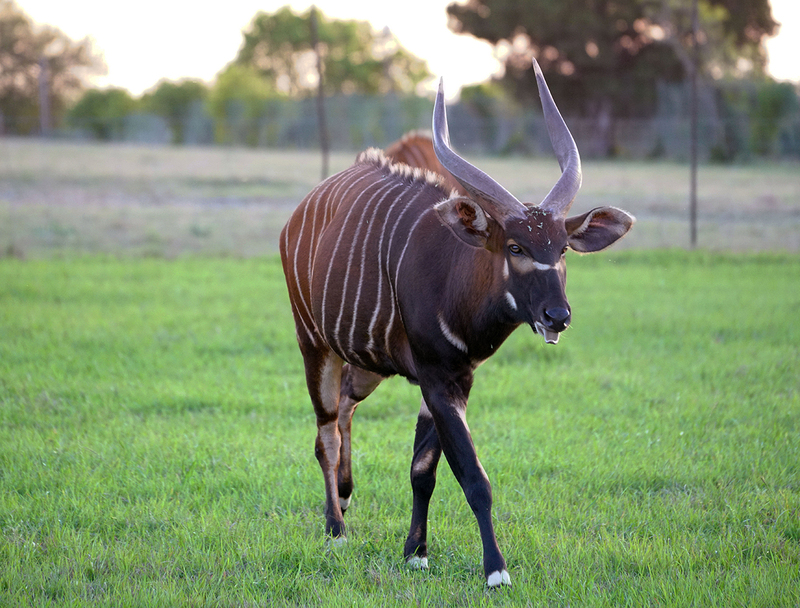 Mountain bongo are the unofficial “spokesanimal” of this event, but why? Like the mountain bongo, the greater kudu (pictured) are more likely to provide an enjoyable encounter during a Discovery After Dark event. 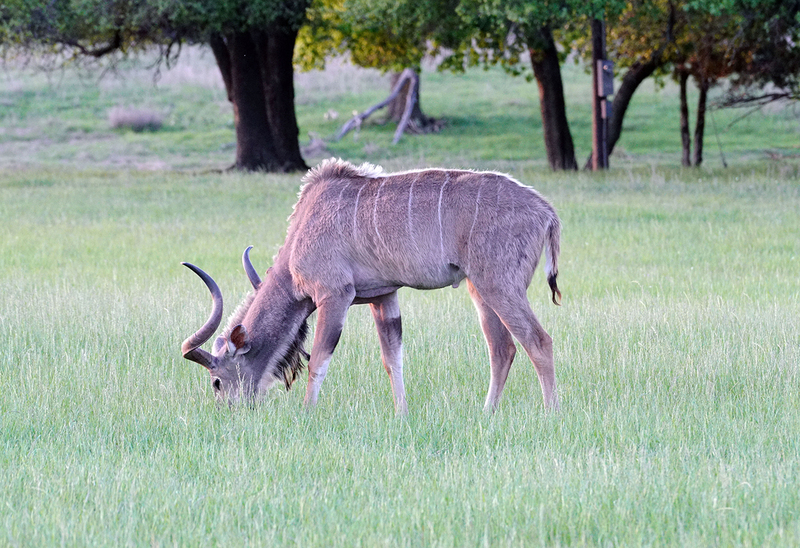 Also in the Buffer Pasture, McDonald mentioned that the greater kudu are less shy than they would be on a day tour. As for the new addition to the event, what about the after-dark hike? It can be very difficult to get a good look at the night sky for people living in cities, but that’s not the case at Fossil Rim during an after-dark hike. 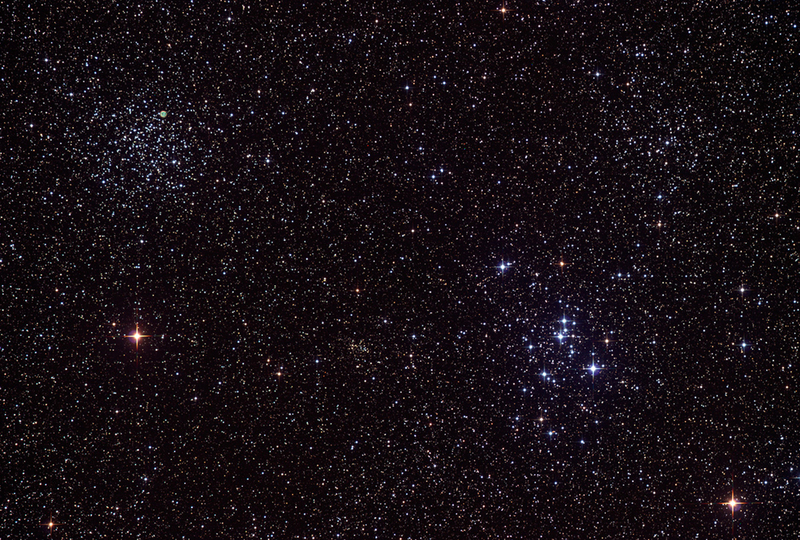 Like seeing the Texas native species, stargazing is something “big-city folk” may not have done before. 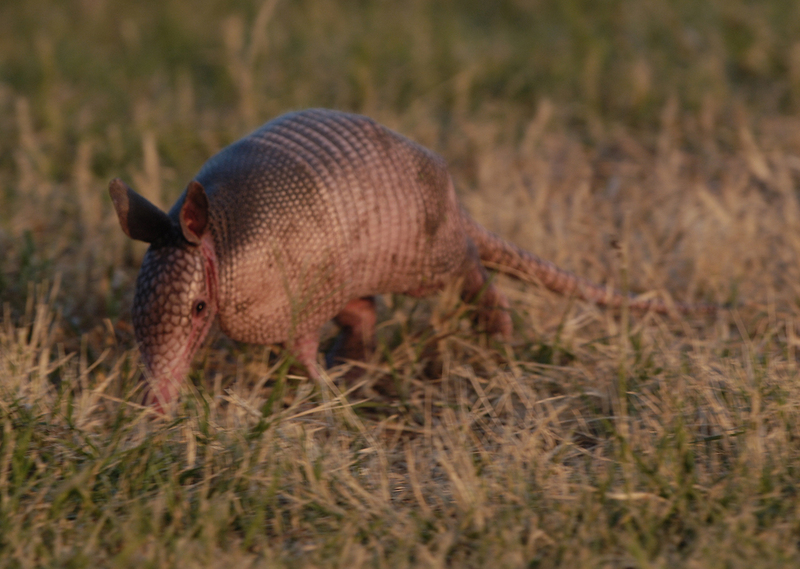 It sounds as if there is a good chance of an armadillo sighting when heading out on the after-dark hike. McDonald said there is a gray fox and a pair of armadillos that live close to one of the trails and might be likely to make an appearance. To hop out of order, considering it is the opening portion of the event, what about the “interactive learning experience”? For whatever reason, the giraffes seem to prefer to spend the evening hours on “Cheetah Hill”. McDonald said to expect a discussion about the adaptations of the Texas natives. 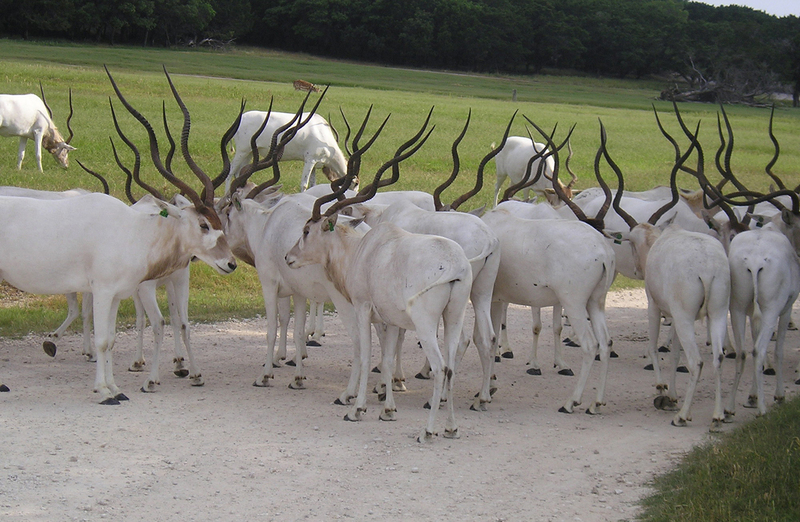 Those species are featured more in this event than just about any other Fossil Rim offering. Andrew Bullard told the tale of the time the addax herd surrounded his tour van after dark and allowed for no movement. The pair were asked about a memorable moment from the two years they have given the DAD tours. “My favorite memory of a DAD, besides trying to count jackrabbits, is when I got stuck within the addax herd,” Bullard said. “I didn’t know what to do,” Bullard said. “We couldn’t call animal care (staff) because they were at home. It was really cool to see the entire herd there. 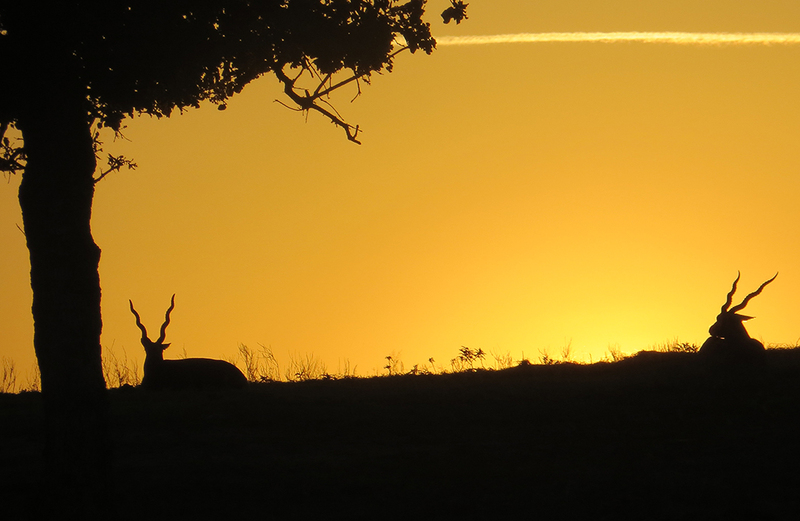 Imagine this photo with very little light; it will be your reality on an after-dark hike at Fossil Rim. The April DAD is full, but other installments in 2019 include May 10 at 7-10 p.m., June 14 at 7-10 p.m., July 12 at 7-10 p.m., Aug. 23 at 6:30-9:30 p.m., Sept. 13 at 6:30-9:30 p.m., and Oct. 21 at 6-9 p.m. Participants meet at the EcoCenter, located at Fossil Rim’s Overlook area. The cost for a DAD is $35 per person. 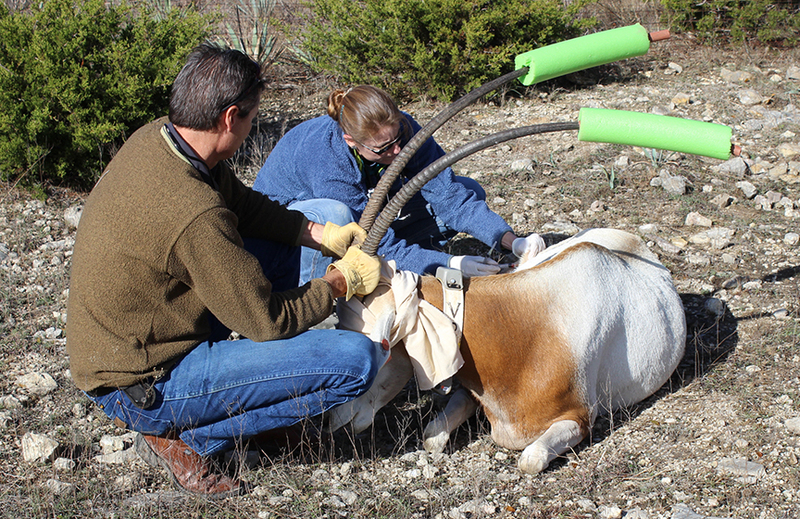 “I think this event is one of the best deals at Fossil Rim by far,” Bullard said. 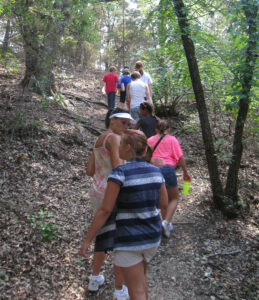 “You get a full guided tour, plus an educational class, plus a hike – all for $35,” Bullard said. DADs are for people age five and older. For reservations, call (254) 897-2960.